We like to think that wine is also a moment of pleasure, that’s why we have joined the taste and aroma of our Moscato Passito Kentàles with delicious chocolate and soft panettone cake. Sweet treats, created by artisan pastry makers, made even more precious by the flavour of our dessert wine. Why not give in to temptation? 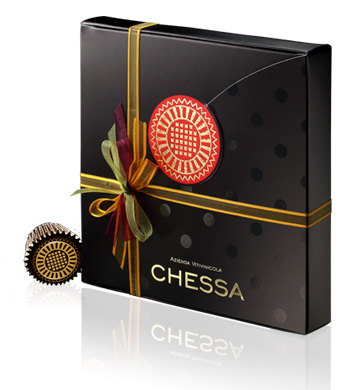 An artisan speciality produced with the best quality ingredients, marked by the intense flavour of chocolate filled with cream of Kentàles (Moscato di Sardegna Passito DOC), orange peel with honey and ground almonds. 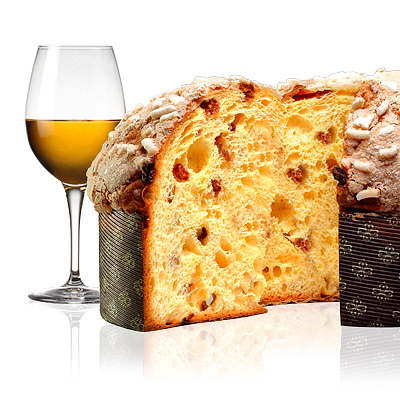 Artisan panettone cake flavoured by Kentàles Moscato di Sardegna Passito DOC. A typical Christmas cake made even more delicious by the sweet fruity flavour of our Moscato wine.